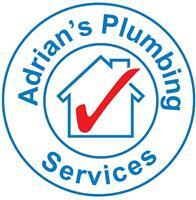 Adrians Plumbing Services - Bathrooms, Plumber based in Upper Beeding, West Sussex. I am a very helpful and friendly tradesman with over 30 years’ experience. I specialise in fitting bathroom suite, from planning to installation. I am also available for small jobs including leaks, all aspect of plumbing and am willing to offer knowledgeable advice. If you would like a fair price for quality workmanship, please do not hesitate to contact me. Bathroom makeovers including Disabled adaptations. Power showers and upgrades, pumps, shower repairs, shower trays and screens.